Being born to celebrity parents— a boon or not so much so? Well, we might perhaps never know that. Like most of the things in life, it might have its own pros and cons. But one thing is certain— if your parents have good looks, it is in your genes and you have all the right to look jaw-droppingly good. And who could have expected anything else from the son of David Beckham and Victoria Beckham? The second child of the gorgeous Beckham couple, Romeo Beckham, was born on September 1, 2002. And he definitely is putting those genes of his to right effect. Following his parents’ footsteps, Romeo Beckham is both a footballer and a model. With David Beckham for a father and Victoria Beckham for a mother, Romeo, turning out the way he is, is no surprise. At the age of 13, Romeo Beckham is very athletic and fashionable at the same time. His floppy locks and dapper sense of style made him be named in the list of Best Dressed Man at the age of 8. Romeo was born in Portland Hospital, London and at the time of his birth, he was of 7lb 4oz weight (as revealed by David right after Romeo's birth, outside the hospital). 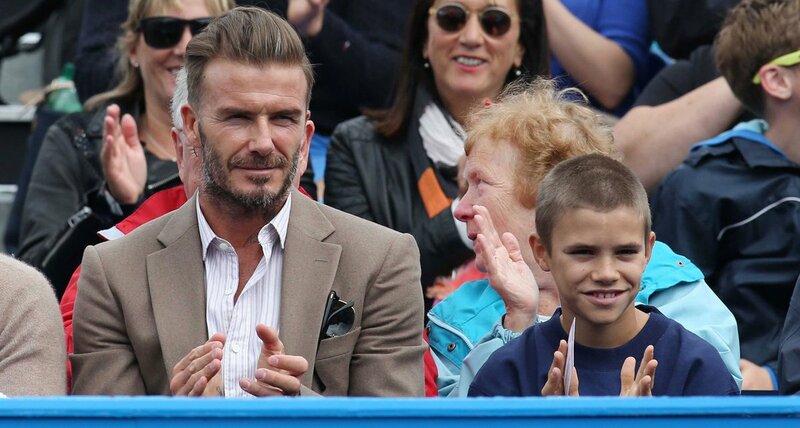 The Beckham family is currently worth $770 million, in which David Beckham alone has a whopping $330 million. The family has accumulated this wealth with football career of David, Musical career of Victoria, Modelling career of almost every family member, and endorsements of several reputed brands. The Beckham Family; (from Left) Brooklyn, Romeo, Victoria, Cruz, Harper, and David. The four scions of the Beckhams are destined to great names; let us just sit back and enjoy seeing them run their course. Rosie O'Donnell Is Dating a New Guy, Who Is The Lucky Guy? What About Her Married life?